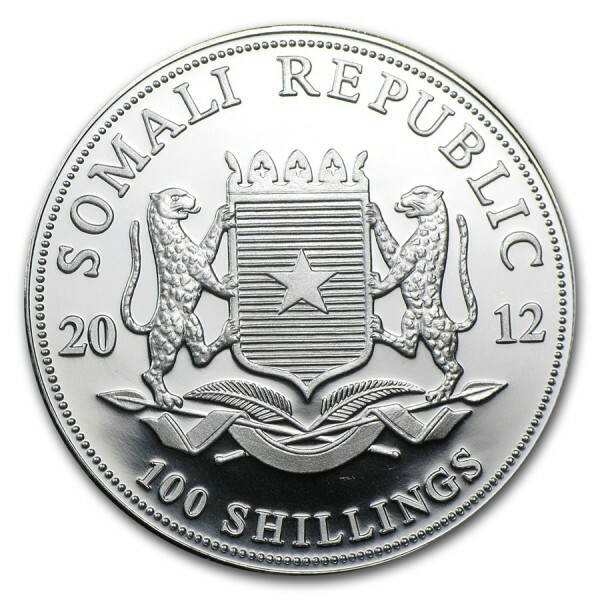 No longer available from the mint! This 2012 Silver Somalian African Elephant coin from the African Wildlife Coin Series appeals to coin collectors around the world for its depiction of one of the most fascinating animals found in Africa: the elephant. 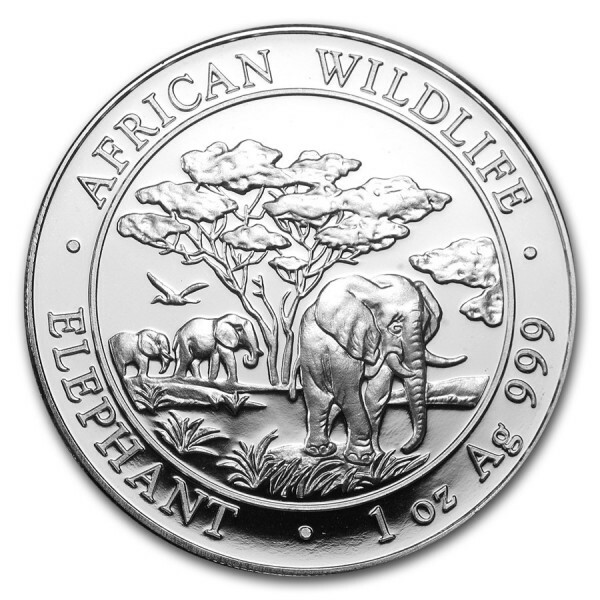 Minted in Germany, the Silver Elephant Coin has a denomination of 100 shillings and is struck in .999 fine Silver. Orders in quantities of 20 or more come in mint tubes; 500 or more come in a box as issued by the Bavarian State Mint.